Are you interested in the “business” side of medicine? Do you love details, thrive on critical thinking, and enjoy research and learning? Are you seeking a professional career that offers the opportunity to advance and diversify? Medical Coding and Billing may be the right career for you! It is one of the fastest growing careers in the healthcare industry today! The need for professionals that understand how to code health care services and procedures for third-party insurance reimbursement is growing substantially. Physician practices, hospitals, long-term care facilities, chiropractic practices, physical therapy practices and other healthcare providers all depend on Medical Coding and Billing for insurance carrier reimbursement. Medical Coding is the transformation of healthcare diagnoses, procedures, surgeries, and other medical services and equipment into alphanumeric codes. The main task of a medical coder is to review clinical documentation and assign standard codes using CPT®, ICD-10-CM, and HCPCS Level IIclassification systems. Medical Billing is the process of submitting, and following up on, medical claims sent to health insurance companies for reimbursement of services rendered by a healthcare provider. A high-quality education is the key to successfully entering this field and becoming a skilled Medical Coder/Biller. 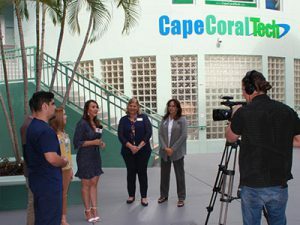 The program at CCTC offers a challenging curriculum of medical terminology, anatomy and physiology, fundamentals of disease process including pharmacology, CPT®, ICD-10-CM, ICD-10-PCS and HCPCS Level II coding systems, insurance billing and reimbursement, and ethical and legal responsibilities in healthcare. You will also become proficient in the latest version of Microsoft Word, Excel, Powerpoint, and Outlook and many of the Google Applications. At the end of the program, you will take the Certified Professional Coding (CPC) Exam, a gold standard in the healthcare coding industry. Prospective students must be at least 16 years of age or older, have a high school diploma, a GED, or a certificate of completion to be admitted to an ATD program. Within six weeks of entry, students in ATD programs of 450 or more hours must be tested pursuant to Rule 6A-10.040, F.A.C. and if below minimum standards for completion from the program, must receive remedial instruction. The minimum standards must be at least the equivalent of a score of ten (10) on all sections of basic skills test approved in Rule 6A-10.040, F.A.C. Students must successfully complete all remedial instruction before completing the ATD. Students also sit for the Certified Professional Coders, (CPC), examination which is a national certification through the American Academy of Professional Coders.